The recent revival of the most noble of white grapes brings back memories of sticky situations. Cast your mind back 30 years or more, if you are old enough, when it was de rigueur to order a glass of Hock in a pub or wine bar in England. Ostensibly riesling, the trend subsequently permeated around the globe. 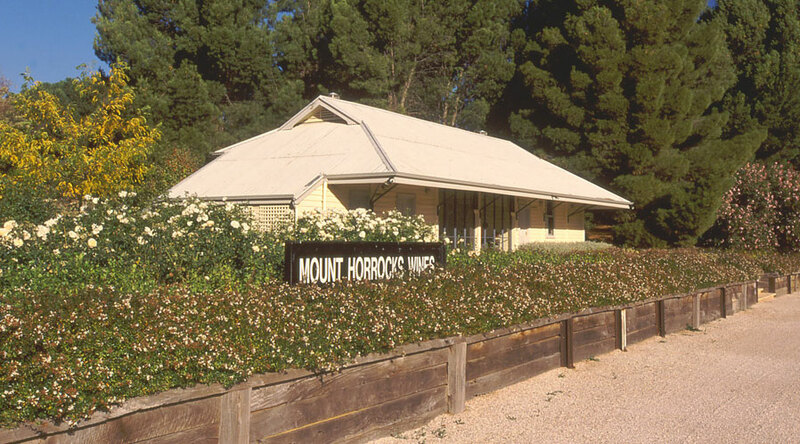 It was Queen Victoria (1819-1901) who coined the term “Hock,” having a preference for the wines of Hochheim after visiting the region in 1845 with her German husband Prince Albert. Her abbreviation evolved to symbolize all good Rhine wines. Riesling from the Rhine and Mosel regions enjoyed a golden era toward the end of the 19th century, coveted by European royalty and aristocracy, often fetching prices far higher than Bordeaux first growths and traded at princely sums throughout the world. 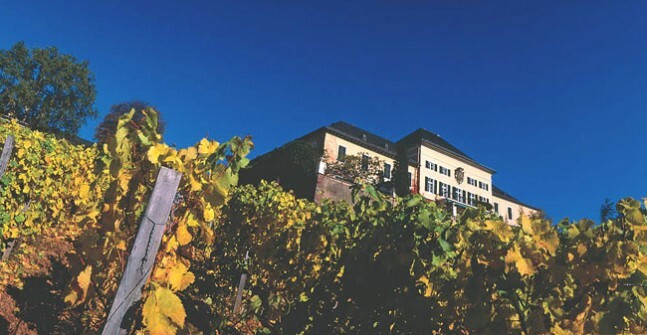 Hock’s demise is largely attributed to adulteration with the addition of inferior grape varieties silvaner and mullar thurgau. The latter was invented by a Dr Mullar from the Swiss canton of Thurgau, by crossing riesling and silvaner varieties. It aimed to emulate the great attributes of riesling but ripen earlier. In the end, it did neither successfully. Liebraumilch and Piesporter were born, superseding Hock, and enjoyed immense popularity for a period, mainly because they were inexpensive and made in a crowd-pleasing medium-sweet style. Riesling has suffered as a consequence since, although it has been on a slow comeback trail. Its most recent upturn suggests it could well regain its position as the noblest of all white grapes. That said, diehard riesling advocates who never lost faith may not be so enthusiastic as increased prices are coincident with the vogue. Having attended a most edifying German riesling terroir master class, held by Joel Payne (co-author of the Gault Millau Guide to German Wines) at Hong Kong Vinexpo in May this year, then four German riesling wine dinners in succession, I have become more well-versed in German wines in the past six months than the past 25 years. As an exceedingly keen young sommelier in New Zealand, I had an early infatuation with German riesling, propelled by my first employer and mentor Bruno Anderson, who practically bathed in the stuff. This bode well for my first job interview when I arrived in Melbourne, Australia, back in 1986. I was bravely, if not brazenly, applying for a sommelier’s position at the then famous Two Faces Restaurant. The proprietor, Hermann Schneider, doyen of the Australian restaurant scene and equally eponymous with wine, being the owner of WJ Seabrook’s, a venerable wine merchant since the 1860s. There I was, all of 21 years, pawing through the encyclopedic, leather bound Two Faces wine list, Schneider eyeballing me with disbelief. His first question, purposefully left field and delivered in his intimidating Swiss-German accent, “What do you know about German wines?” My reply, “Everything! What do you want to know?” met with raised eyebrows. It was poker-faced bluff, on occasion a significant part of a sommelier’s skill, or at least it was in those days. I got the job, and built an invaluable knowledge of German wines thanks to Schneider’s enlightenment, not to mention having free run of the greatest cellar in the southern hemisphere. At that time, German wines were suffering the fallout from wine scandals and post- Liebfraumilch blues. The Two Faces wine list was resplendent with the greatest German vintages – 1959, 71, 75 and 76 – the later two vintages in Kabinett and Spatlese from any of the top producers you cared to mention and in copious quantities. Moral bound to my self-appointed superior knowledge of German riesling, I set about selling as much of these wines as I could, along the way discovering how fabulous they became with 10 years or so bottle age. The sweetness of the natural residual sugars from late-harvesting vanish to leave behind the glycerol texture and rich complexities, yet finish almost dry and tangy with impervious acidity. One of the most extraordinary riesling experiences of my wine career took place at Two Faces. One evening a wealthy and regular client, dining with influential guests, requested his usual bottle of 1967 Chateau d’Yquem to pair with dessert. It is indeed one of the great vintages and an incredible bargain at A$200 (HK$1,180) a bottle at the time. Well versed in the one-upmanship of wine, he gave a nod of agreement with decorum, not wanting lose face in front of guests, but pointing out that the grape variety was not the same and enquiring if I had tried the wine. To which I replied: “Several times sir, unquestionably a magnificent wine.” I retreated to the cellar to liberate the bottle, with the knowledge I had never tried the wine in my life, contemplating what irreversible career faux pas I was about to make. Upon pulling the cork, which was remarkably intact, and pouring the mandatory sample taste, my jaw dropped, as did the all those at the table, when an almost ebony colored, molasses-type liquid oozed like crude oil from the bottle. Remaining composed, but with beads of sweat now appearing on my forehead, I beckoned him to assess the wine, having in the past, witnessed wines of far worse veneer pronounced extraordinary. All eyes were on the host as he nosed the wine for an eternity, mumbled to himself and, after sipping, grunting and babbling in orgasmic proportions, eventually delivered a tongue-tied benediction on what turned out to be a phenomenal raisin-like, dried muscatel nectar with an indelible molasses sweetness, yet alive with spicy, tangy apricot fruit and fortifying acidity. It was so intense that you could not drink more than quarter of a glass. Even after generously offering a sip to almost every remaining patron in the restaurant, there was still half a bottle left, which I suggested he take home with him, as the sugar content would preserve it for days. A few weeks later he returned to the restaurant, a riesling altruist who had offered a sip to all who had passed through his boardroom. Fast forward to last week, and I am a guest at NK Yong’s residence, Asia’s most prolific fine wine collector and indefatigable wine philanthropist, his equally energetic wife and one of the finest haute cuisine chefs in Singapore. The themed dinner featured Schloss Johannisberger, the most famous monopole (single vineyard) in Germany and birthplace of late-harvest riesling, its viticultural history going back 1,200 years. At the end of the evening, Yong most generously presented a rare bottle of 1971 Schloss Johannisberger Trockenbeerenauslese from his private cellar. I had not tried a Trockenbeerenauslese since my apocalyptic experience at Two Faces, and retreated to a quiet corner, reminiscing and immersed in my glass. It was a coppery color, redolent in toffee-caramel and honey, muscovado sugar and concentrated dried tangerine peel and dried apricot. Still it was amazingly fresh and tangy – exploding in the mouth with layers of mandarin and orange with toffee and nutmeg spiciness. Its incredible intensity of sweetness embellished the palate; it was viscous yet racy as the acidity appeared with a harmonious sweet and sour sensation, the citrus, apricot acidity chasing away the sugar in an infinite farewell. I will report further on the Schloss Johannisberger wines as well as the fascinating dichotomy emerging in dry style German riesling.